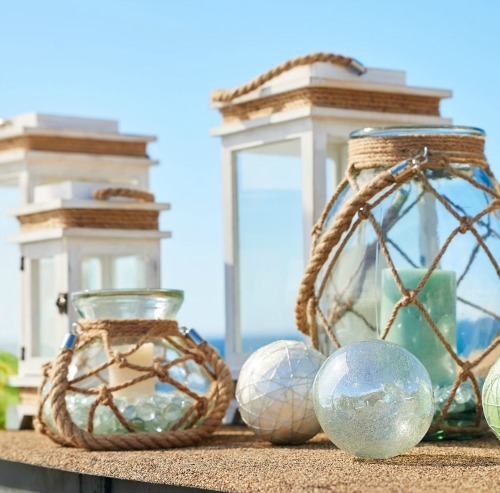 Charming candle lanterns to light up the night coastal, beach and nautical style. 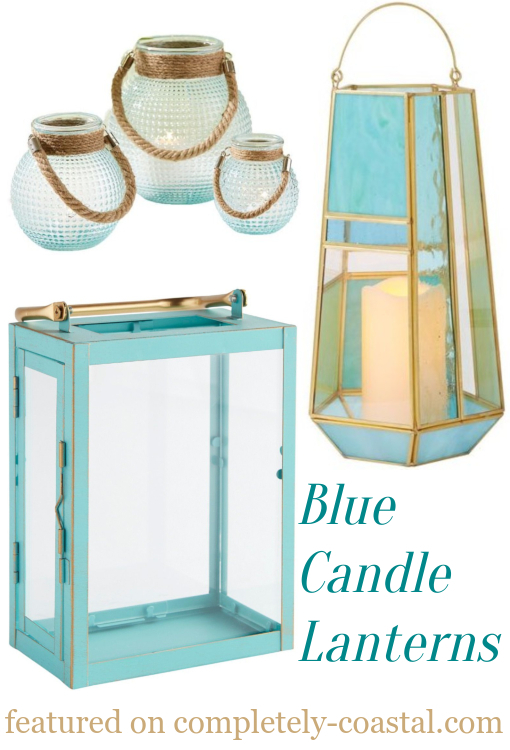 Their collection includes some rope designs, beachy turquoise lanterns and others. 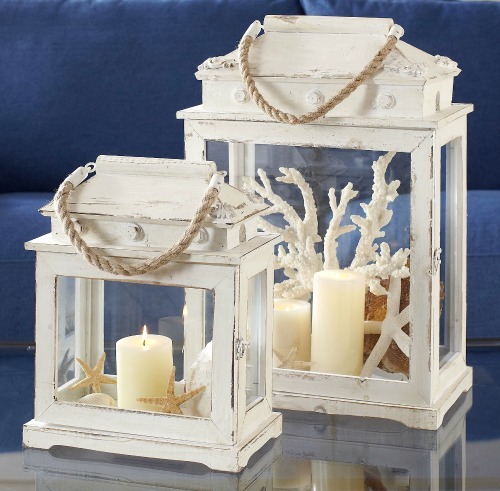 Candle lanterns with a coastal, beachy and nautical flair. 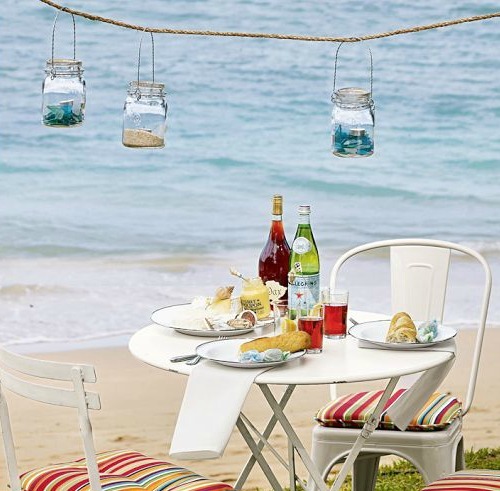 Most provide room to add sand and sea treasures collected from the shore to create a beautiful ambiance year round. 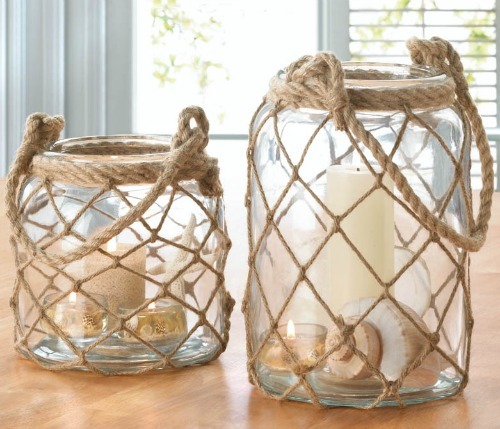 Large selection of different style candle lanterns for coastal living. From large wooden lanterns, to rope net lanterns, to lighthouse lanterns, and beyond. From their classic rope handle lanterns that come with a bronze and silver finish to wicker lanterns. 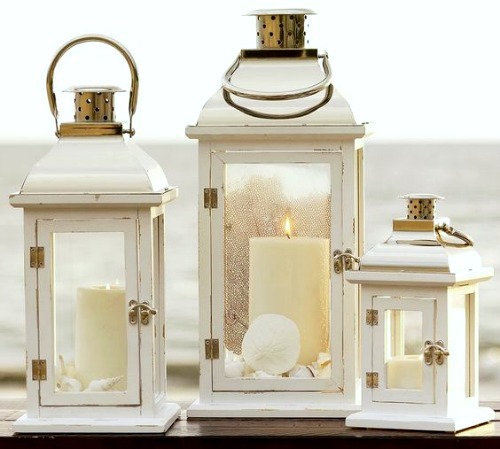 Lanterns are crafted of white painted pinewood. 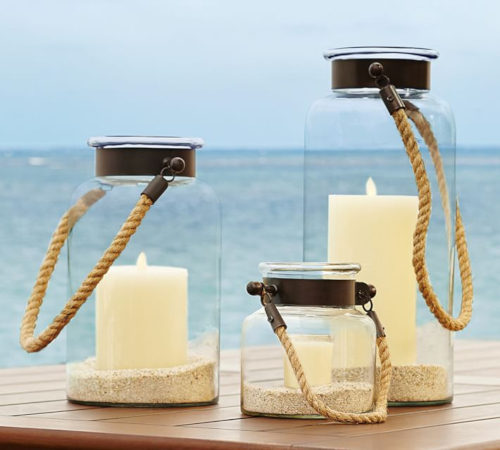 Candle lanterns with doors make it easy to arrange a coastal beach display. 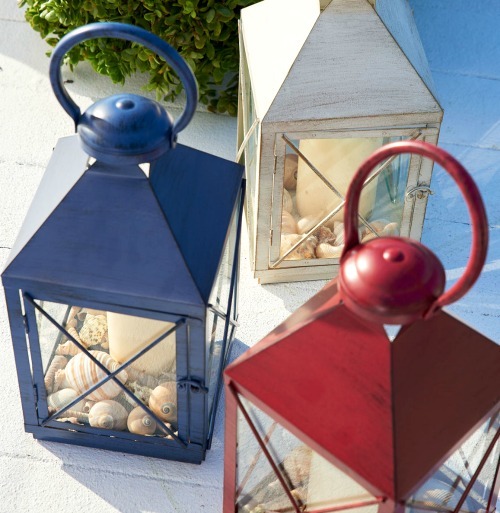 Charming candle lanterns with a nautical flair, painted by hand and finished with a powder coating for rust-resistance. 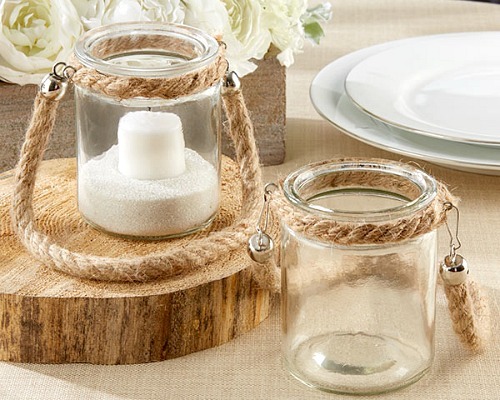 Rustic glass jar lanterns with rope featured. They look charming just scattered on the table too. 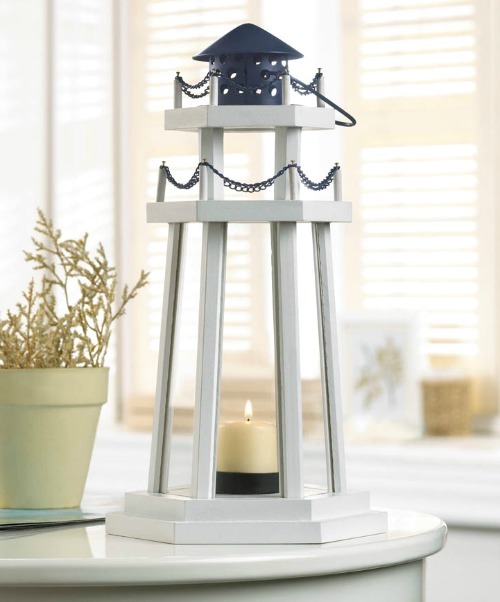 This collection of coastal and nautical candle lanterns includes a classic lighthouse design, painted white and fitted with slender glass panels, topped with black metal embellishments. 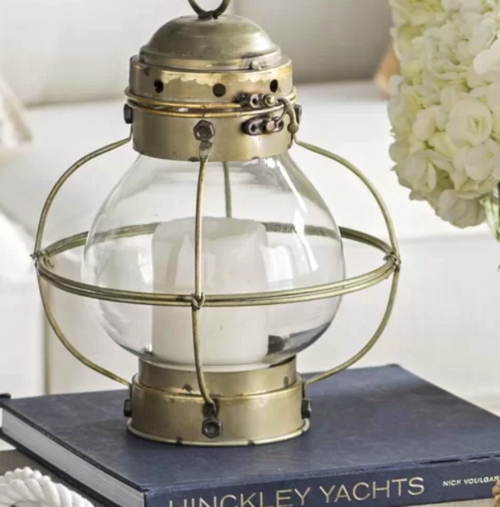 Amongst these coastal candle lantern you will find ship inspired designs and others. See how people have been Knocking off these PB Lanterns.